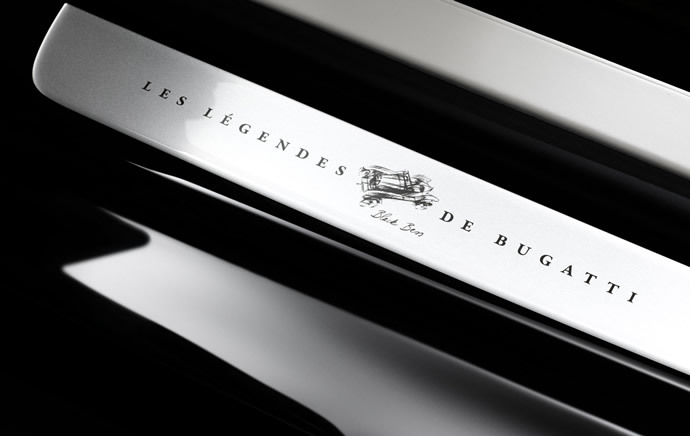 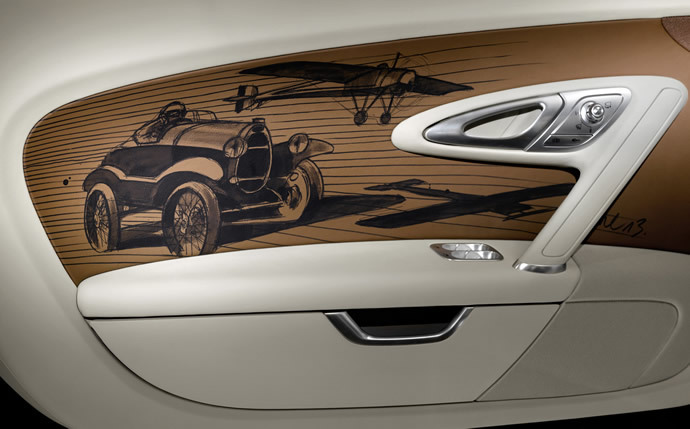 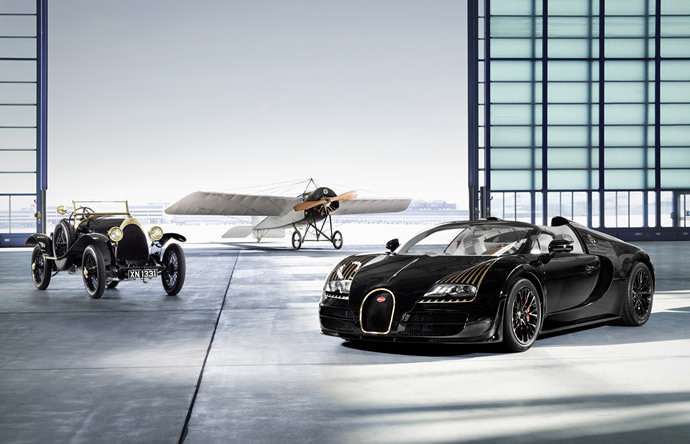 Bugatti has unveiled its fifth model in the six-part ‘Les Légendes de Bugatti’ (Bugatti Legends) Edition, but unlike the previous four models in the series that paid homage to specific people in Bugatti’s history this one honors an iconic car. 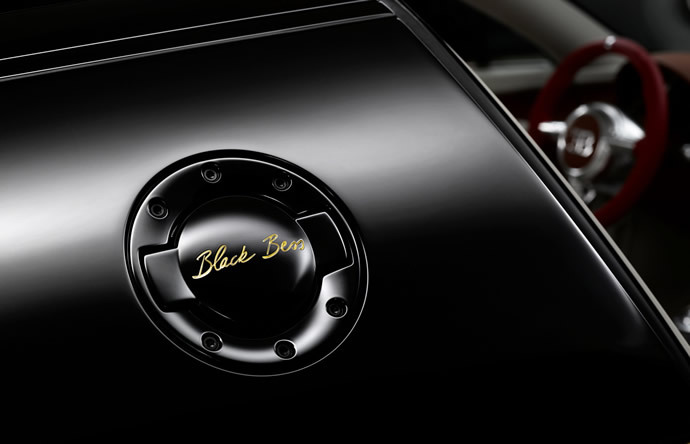 Named the Black Bess, the newest Les Légendes model is dedicated to the legendary Type 18 “Black Bess”, which went down in automotive history as one of the first ever street legal super sports cars. 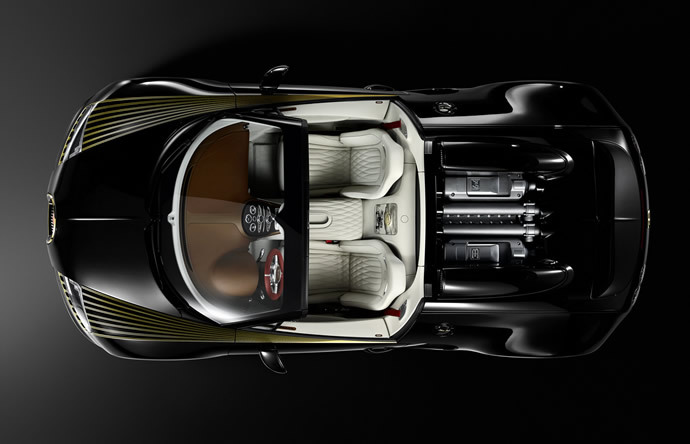 The Type 18 powered by a 4-cylinder in-line engine was capable of producing over 100 PS and hitting a top speed of 160 km/h (100 mph) which was a feat unheard of at that time. 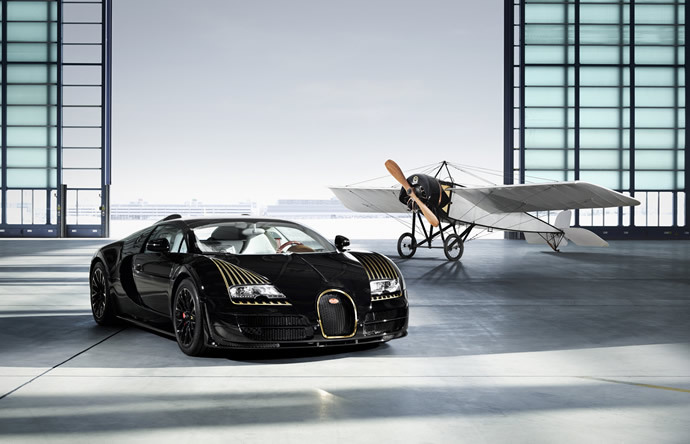 Once owned by French aviator Roland Garros, the Type 18 was driven in many races by company founder Ettore Bugatti himself. 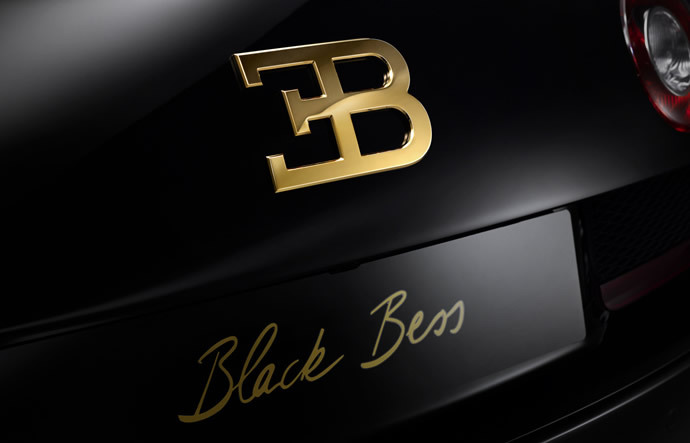 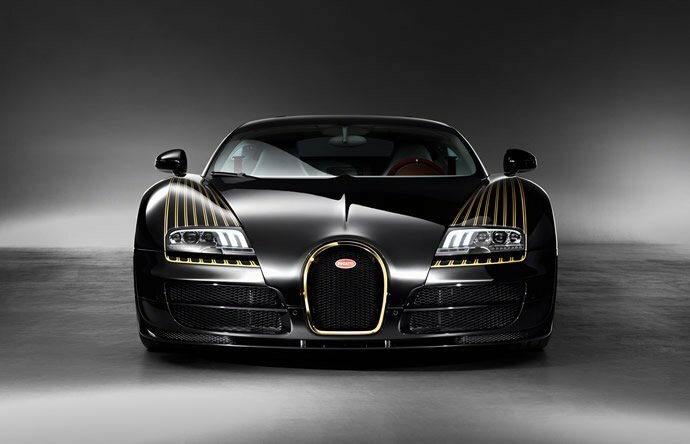 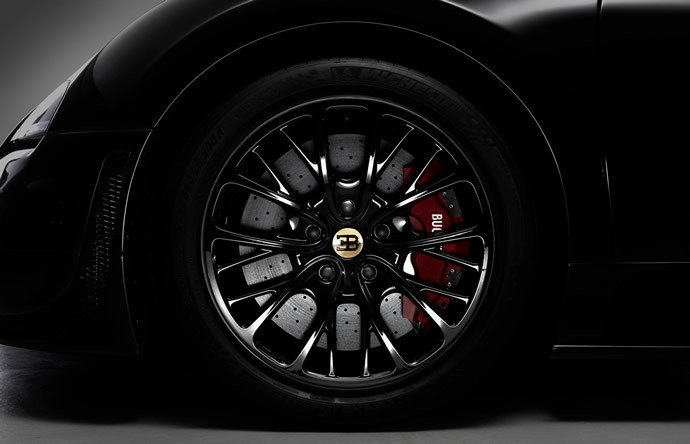 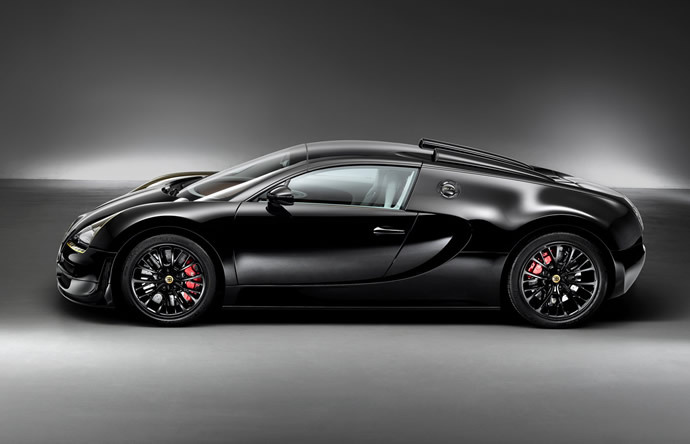 Coming back to the Bugatti Veyron Black Bess edition, like the rest of the models in the series it is based on the Veyron 16:4 Grand Sport Vitesse and the first of the three examples will be unveiled at the Beijing Motor Show. 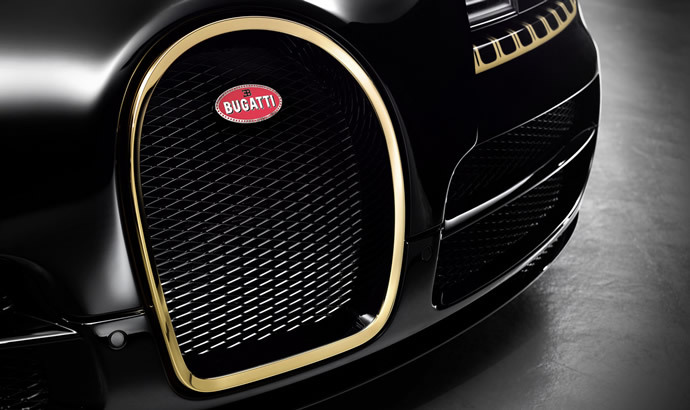 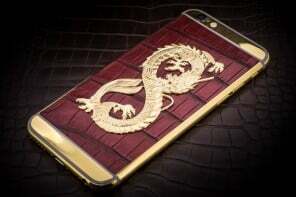 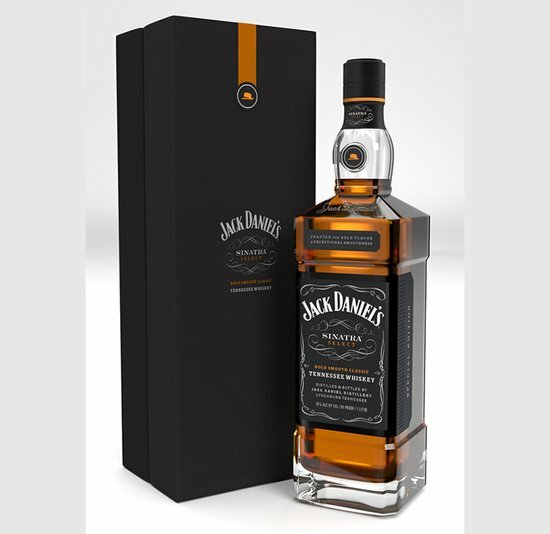 Coming to the specifics of this model, the exterior is wrapped in a black paintjob which is accented with gold stripes on the front fenders and 24-carat gold plating on the horseshoe grille, rear EB logo, and elsewhere. 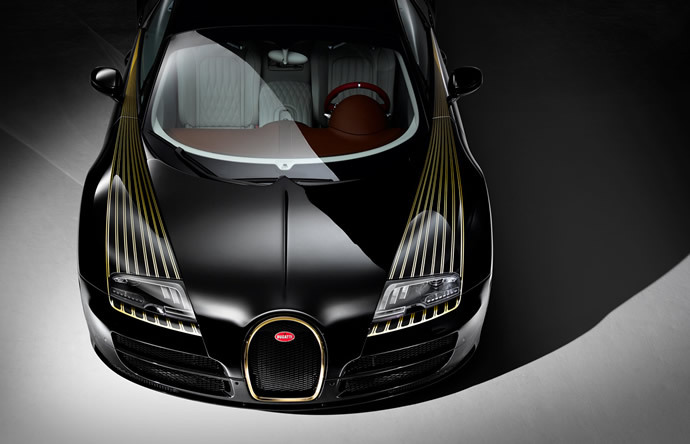 Though the gold grille blends nicely with the black paint of the body but the stripes don’t look that great. 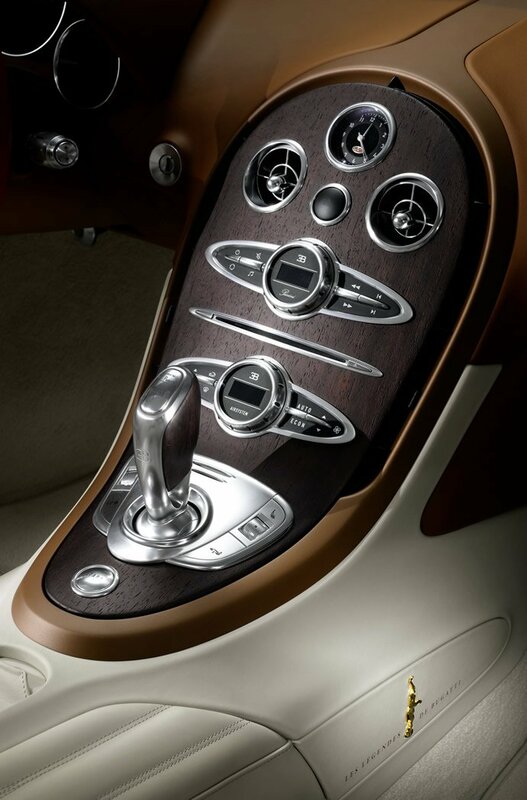 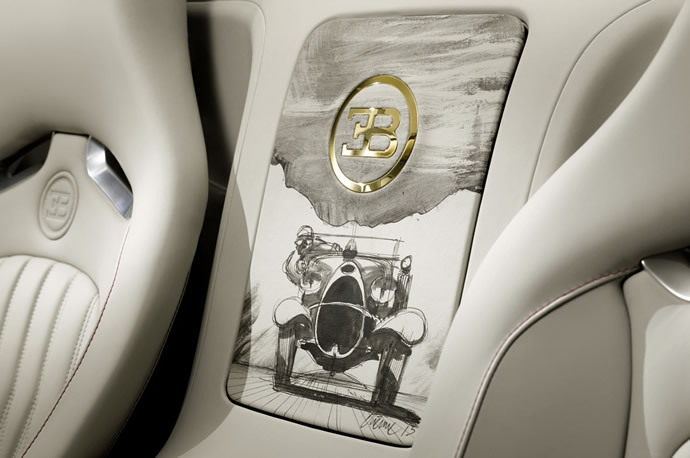 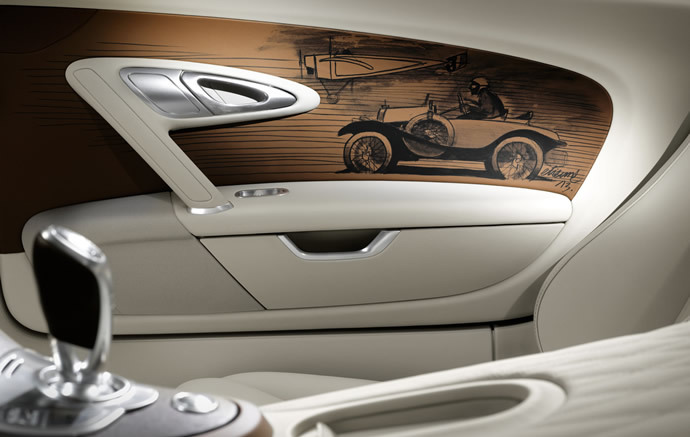 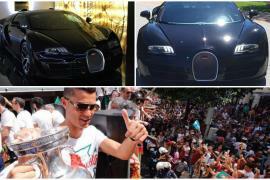 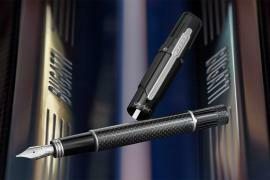 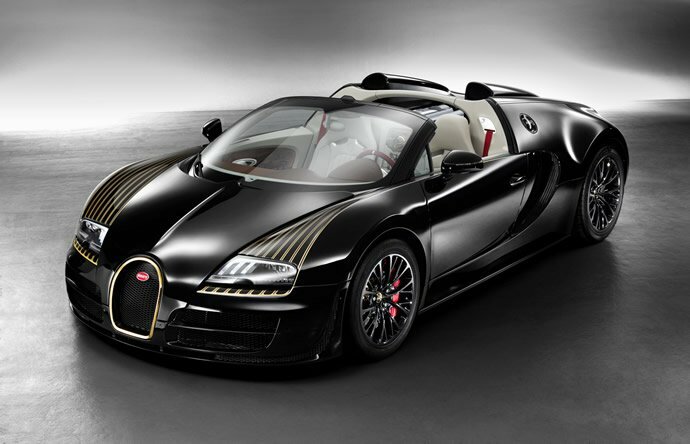 But the biggest blunder Bugatti has made is with the interior of the special edition. 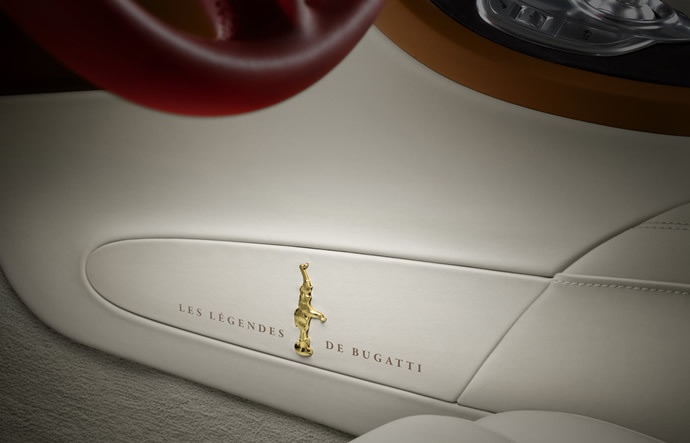 The interior is upholstered in light beige and brown leather with red leather steering wheel and trim, which is fine, but the hand-painted motifs of the original T18 and Roland Garros’ plane on the door panels look childish and out-of-place. 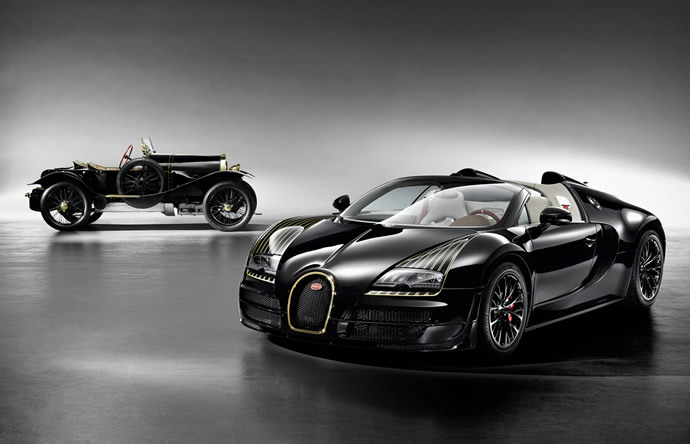 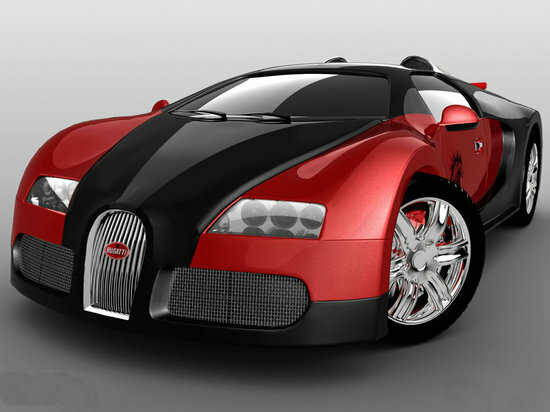 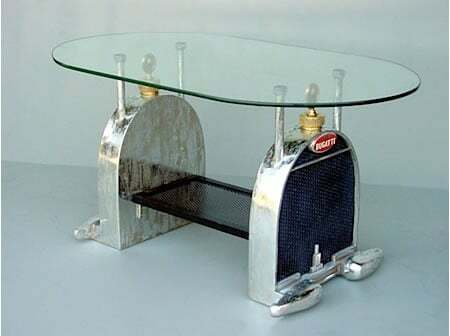 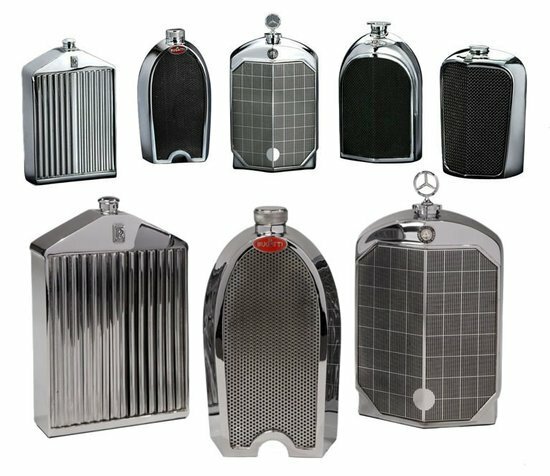 As with the previous versions, Bugatti will only make three examples, each priced at €2.15 million ($3 million approximately).